(MoneyWatch) The real estate market has flipped from a buyer's market to a seller's market in just a short time. While there are still great deals to be had, buyers need to be more creative, savvy and educated about their local housing market to land the home of their dreams. Housing inventory is down 40 percent or more from two years ago in some markets, and that means stiff competition for the best houses. But there are methods to beat other buyers to the property you covet, some conventional and some more unusual. Most important is to know is the difference between what you want and what you truly need to live. I've often referred to this as your wish list and reality check. Think of everything you want and separate it into categories, however many you need to determine what you can and can't sacrifice. It might be the perfect kitchen, a three-car garage, big backyard or a short commute to work. Now make a separate list of whatever you cannot live without. For example, you might love a four-bedroom home, but you absolutely need three bedrooms. Consider how long you want to own your home -- the longer, the better the value -- and what your future needs will be. If you want to have kids, buy enough house for the anticipated size of your family five to seven years down the road. This is a vital step if you hope to land your dream home. Pre-approval will tell you the amount you can borrow, which can determine what you can spend on your future home. Armed with the pre-approval letter, you can assure potential sellers you have the funds to go through with the purchase. This sets you apart as an extremely strong buyer. But in today's market, it does more than that: Though their numbers are dwindling, investors are still swarming in many markets, and they'll offer to buy the same house you want for cash. Pre-approval is the next best thing to an all-cash offer. Many buyers rely on real estate agents and the home search itself to find the right neighborhoods. But before you buy, you should know your neighborhoods of choice well -- down to the block -- before you making a first offer. Though this can be tricky if you're new to an area or live a long distance away, research on location will allow you to determine whether the neighborhood offers the amenities that will make you happy. If you're familiar and comfortable with a home's location, you'll be ready to pounce when the right home comes up for sale. Keep close tabs on new properties on the market. Sometimes a good agent will notify you right away when a house shows up in their listings, but not always -- real estate agents do have other clients. You can set up mobile alerts with various consumer real estate listing sites or hit the refresh button if you're at a desk all day. Realtor.com, for example, is updated every 15 minutes with new information, according to Leslie Piper, a Realtor.com consumer housing specialist and an agent with 12 years of experience. Piper knew a couple whose dream house became available at 4 p.m. on a Friday. But by the next day, the sellers had two offers on the house, and the couple lost out. They were too slow to the draw. "Things happen that fast in certain marketplaces," she says. Many listing services also offer mobile apps and alerts where you can check on listings while waiting for a table at a restaurant, commuting on your way to the office or running on the treadmill at the gym. If you've flagged an area or even a specific house, you'll get an e-mail advising you of the latest movements of housing stock in those neighborhoods. At Coldwell Banker, you can sign up for a service offering access to the multiple listing service agents use so that you know when houses come on the market lickety-split. Selling a home is still an emotional thing for many homeowners, and many want to know they're selling to someone who will cherish the property as they do. The Kellehers, a hockey-loving family in Boston, had their eyes on the home of a former Bruins player, Ferny Flaman. His granddaughter wanted to sell the home, but after five failed offers, she was getting disappointed. So the Kellehers incorporated Flaman's jersey number, 14, at the end of their offer amount, delighting the Flaman family and leading to the sale. Piper recommends attaching a personal letter to your competitive offer that tells a little about who you are and why you want the house. This could be particularly effective in beating all-cash offers. She knows of one home that had 16 offers, and three of them were all-cash. "Not one of the all-cash offers was accepted," she said. "Instead, a younger couple connected with the seller. The buyers were willing to give the sellers everything they wanted." Don't lowball sellers. While that kind of offer might have been acceptable when prices were still dropping, these days you're more likely to offend if your first offer is too low. 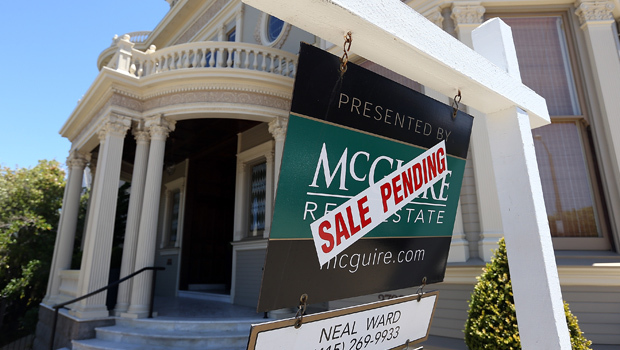 "People get caught up making a starting offer and make an offer they know the sellers aren't going to take," says Jamie Edwards,a Coldwell Banker consumer specialist and an agent in North Carolina since 2005. "That's actually a bad negotiation strategy. It's more important to make an offer that [is negotiable] but is realistic and you feel good about. The seller is more apt to come back with a stronger counteroffer if your offer is real tight to their list price." You also don't want to spend a lot of time going back-and-forth with a seller. While you're negotiating, the seller may get another, better offer -- and take it. Don't add stipulations, requirements or requests for personal property to your offer. The initial offer should be as clean and clear-cut as possible. It's easier for a seller to understand and compare offers when yours doesn't include a lot of add-ons. Talk to your real estate agent about what items may be negotiated after the offer is accepted.